Yes, it’s only January and I am preparing for Holiday Giving. With Christmas Clearance (or any holiday really), it’s easy to stock up on pre-packaged gifts, soaps, and goodies at more than 50% off. I am going to give you an example of what we are doing. 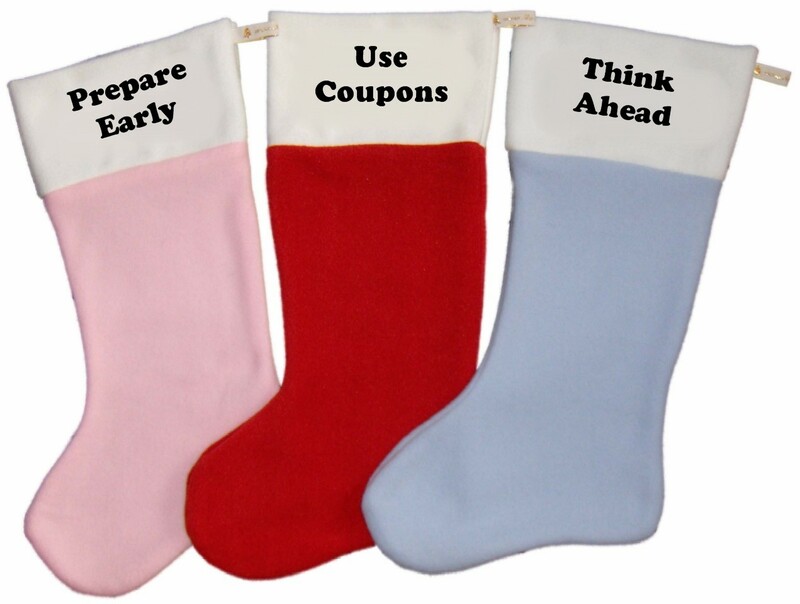 I purchased Christmas Stocking at 90% off at Target. They cost me $0.20 each. Today, I used a $6.00 coupon I earned from Toys R’ Us and purchased 8 small toy items and paid nothing out of pocket. TRU had a $1.00 Sale where if you bought 2 toys, you received 1 free. Then, some other items were $0.88 each. We now have toys for the stockings and my out of pocket cost was very minimal. These 10 stockings will be for our Community Outreach that my family began over the past summer. The stockings I fill over the course of the year will go to children who would not have anything under the tree during the Christmas Season. When you receive one of those coupons in the mail that says $10.00 of any purchase of $10.00 or more, and you have nothing that you need, use it to purchase a gift for giving. Whether there is a holiday coming, a birthday (even if it’s a month away), or if you stock up on gifts for that “just-in-case” situation, don’t miss the opportunity to use their generous coupons. Roma Downey’s Little Angels DIY Valentines Crafts: Macaroni Jewlrey,Homemade Valentines, Easy Valentines Cookies & More! PLUS 3 Pack DVD Giveaway!